Ensure compliance to company spending policy. 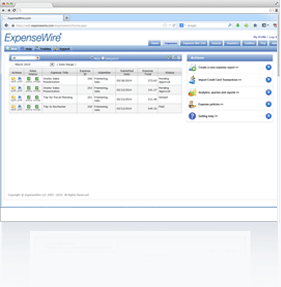 Take control of your organization's expense reporting process, enforce expense policies, and eliminate excessive spending. 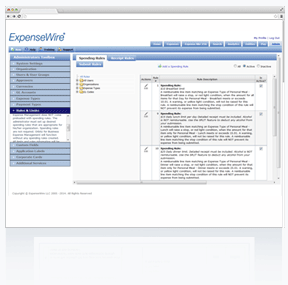 ExpenseWire helps you ensure compliance to Sarbanes-Oxley and other legal regulations. It also gives you the flexibility to set expense reporting compliance rules and enforce your own spending policies. Spending limits and expense policies are built right into the system, so your employees will know immediately when an expense report falls outside company policy. 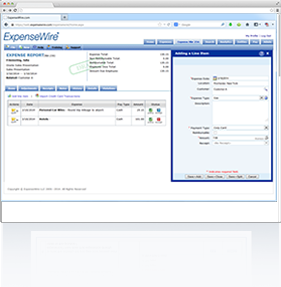 ExpenseWire makes the traditional hassles associated with managing expenses a thing of the past. Reduce excessive travel expense spending. Control, manage, and reduce spending by setting easy-to-follow expense policies for your business travelers. Draw attention to out-of-policy submissions with red and yellow exclamation marks. Take control of your organization’s expenses and ensure compliance to company policy — all through a paperless, online expense reporting solution. 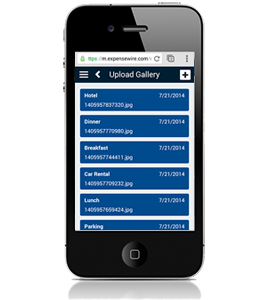 Maintain ready access to receipts for audits and reviews.